Yuzuru Hanyu may have already sealed a gold medal in the men’s single skate with the second-highest score ever. 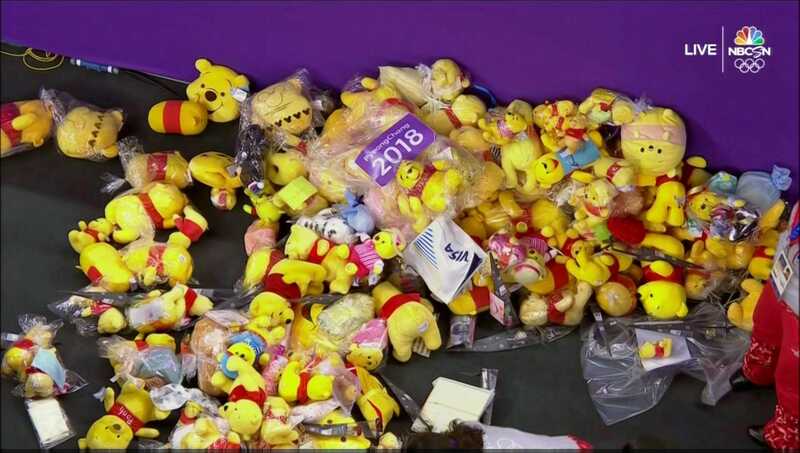 After the program finished, fans littered the ice with hundred of Pooh Bear dolls, a celebration that has become a tradition during Hanyu’s performances. 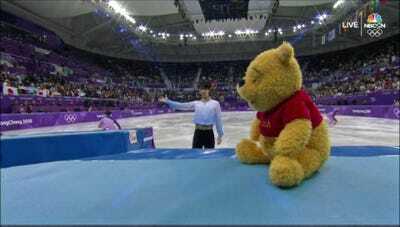 Pooh is Hanyu’s personal mascot and good luck charm. Yuzuru Hanyu may have already sealed a gold medal in the men’s single skate with the second-highest score ever during the opening short program, a 111.68. 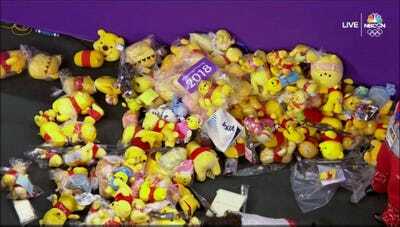 As soon as Hanyu’s performance was over, fans littered the ice with hundred of stuffed Pooh Bear dolls. The ice was covered in yellow, and that was just for the bears that actually reached the ice. Many did not. 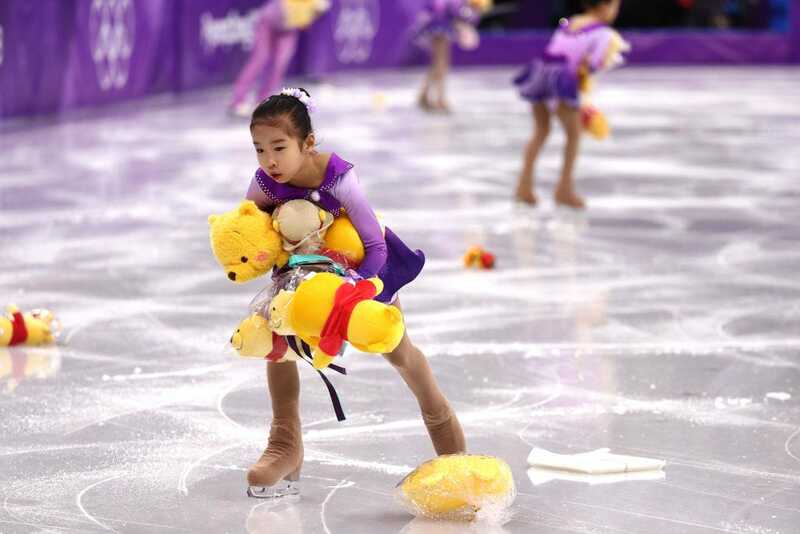 The monsoon of Pooh Bears has become a staple of Hanyu performances. Japanese fans travel in large numbers to see him perform and this was his biggest performance on the world’s biggest stage. The ice crew had to work even harder this time around collecting the bears. There were at least two mountains of the bears piled up at each end of the ice. As Jeré Longman of the New York Times recently chronicled, Hanyu has adopted Pooh as a personal mascot and good luck charm. Hanyu will often squeeze his Pooh Bear prior to going on the ice for a performance. Other times he will bow to Pooh, pat it on the head, or even shake his paw. During Hanyu’s monster performance on Friday morning, Pooh was in his usual spot, sitting rink-side. Hanyu probably doesn’t need a good luck charm, but if he did, it must be working.